Pilon’s book is situated within the comparative historical tradition, eschewing the ‘dominant positivist models’ that ‘assume causal laws of constant conjunction (21).’ Such static approaches fail to sufficiently account for the complexity of voting system reform because they fail to properly account for human agency. By trying to establish causal links from which they can derive generalizable ‘laws’ of political science, they subsequently downplay the politics involved in voting system reform. In contrast, Pilon’s approach brings together class analysis and critical institutionalism in a way that is meant to capture the ‘dialectical interplay of the institutional structures and social dynamics in western societies’ that ‘fuel the disputes’ that have sparked debate over voting system reform (26). Democracy here does not merely mean ‘polyarchy’, or a procedural mechanism ensuring the peaceful competition of elites. Rather, democracy is justifiably presented by Pilon as a concept – or perhaps more accurately, a series of practices – contested by the forces of the left and the right. On the left, socialist, labour, and social democratic parties sought to advance a program of democratization that entailed not only the extension of the franchise to the working class, but also the institutionalization of social and economic rights. On the right, conservative and liberal parties sought to contain the left by conceding only what would not jeopardize the power, privileges and property of the elite. Rather than conceptualizing democracy merely as an institutional process that emphasizes the formal mechanisms of choosing government, Pilon brings the reader’s attention to the importance of understanding democracy as a ‘historical accomplishment’ that ‘focuses on discovering what democracy has been understood to be by different social actors, how the dominant social meaning of democracy may change over time, and what factors contribute to democracy remaining a site of political struggle (33).’ By understanding democracy in this way, Pilon avoids anachronistic readings of the history of voting system reform that explain the motivation for reform in light of the outcomes. The bulk of the action takes place after WWI due to the growing concentration of the working class as a consequence of the mobilization efforts for ‘total war’, and the problems of demobilization regarding veterans returning from the front. As Pilon points out, the war had ‘altered the class composition of western countries and mobilized their populations’ to demand a ‘more expansive form of government, a kind of social democracy.’ In the context of an upsurge in working class militancy that witnessed a number of general strikes, workers’ council movements and general working class unrest in Italy, Germany, France, Canada and the US, the threat was real, and ruling elites made political concessions in return for the adoption of proportional voting systems that would prevent them as a minority being overwhelmed by working class voters. 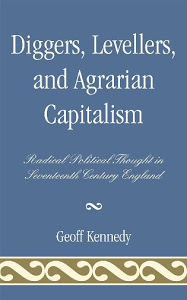 These PR systems would ultimately be judged in terms of their efficacy as a form of ‘“conservative insurance” against democracy (144).’ While elites in all western countries ‘conceded various labour and social policy reforms’ in the context of this upsurge in working class militancy, ‘their varying responses were conditioned by the strength of their opponents, their own past experience with mass elections and labour politics, and the particular historical sequence of events (153).’ Subsequently, as the threat of the left began to wane throughout the 1920s, so too did elite interest in voting system reform. Pilon’s book is essential reading for scholars of comparative politics as well as twentieth century political history. He deals adeptly with the twists and turns of the political history of the west with great skill and clear prose. 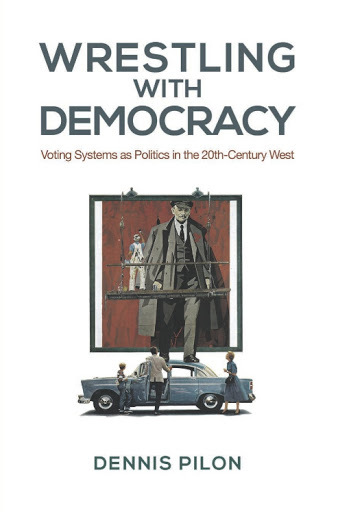 Most importantly, however, this book puts the politics back into voting systems reform and puts the struggle back into the study of democracy.